Turn your frown upside down this week! 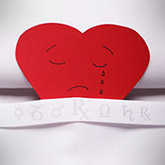 The week may not begin on a happy note, especially when it comes to romantic and partnership matters. Is there any hope at all? Of course! But you'll have to wait until Wednesday, when love planet Venus moves into friendly Aquarius. See what's in store for you personally with a Weekly Forecast Tarot reading, and here's the lowdown on the key cosmic events the week of March 2-8, 2014. On Sunday, Venus in sober Capricorn will be at odds with Mars Retrograde in Libra. 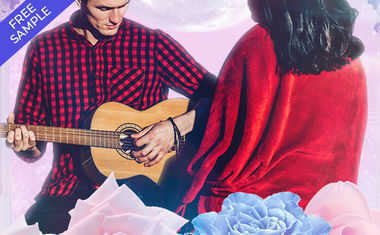 This incompatible combination between the cosmic lovers might leave you feeling as if you'll never find the middle ground between you and your sweetie that you hope for. In business relationships expect a gridlock alert! 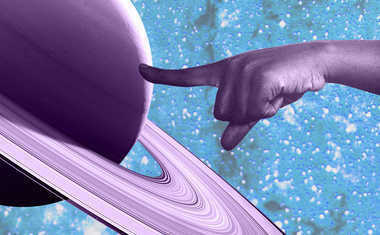 On the same day, Saturn will turn retrograde, where he'll remain until July 20. Over these months it'll be a good idea to retrace your steps around career moves and goals. This will especially apply to partnerships and other collaborations until May 19. On Monday, there is a light of hope in the sky. The Sun in Pisces will be at a friendly angle to Pluto, allowing you to transform an inspired project in a way that allows its light to shine through. Matters of the heart and friendship get a jolt on Wednesday, when love planet Venus moves into Aquarius, where she'll remain until April 5. Now, the way to your heart is through camaraderie. Friends first will be a must, but it's also possible that you'll be more attracted to those who reveal their humanitarian side more easily. You might work on a group endeavor that has the capacity to benefit the masses, and as you do so you just might meet someone who makes your heart swoon. Because Aquarius is ruled by tech-savvy Uranus, Internet dating will be a popular way to meet someone special. You might also notice a greater amount of flirty remarks on your Twitter feed! Then, Jupiter turns direct on Thursday, and you'll feel like luck is once again on your side. Ah, that's exactly where it should be!